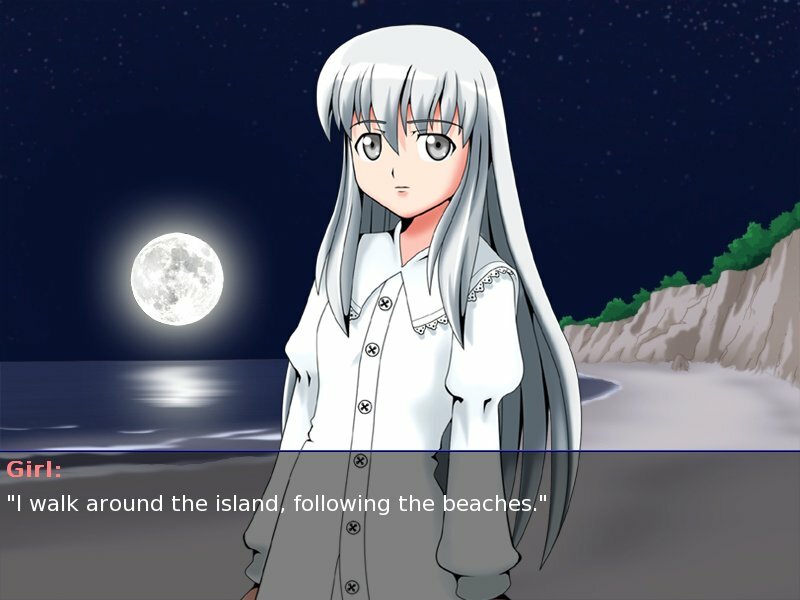 Moonlight Walks is an english-language visual novel. It features 21 paths to 4 endings, and original digital artwork. It takes about 15 minutes to reach one of the longer endings, and perhaps half an hour to see them all. Version 2.0 of Moonlight Walks was released on January 25th, 2009. It includes all-new art by Mugenjohncel, and several bonus features. There are four files that you can download, but you only need to download the one file that is appropriate for your platform. Android. A version of Moonlight Walks for Android smartphones and tablets is available from the Android Market. If you have comments, questions, or require support, the best way to contact us is by posting in the Moonlight Walks topic on the Lemma Soft Forums. If you need to contact us privately, please email pytom at bishoujo.us. Moonlight Walks was made with the Ren'Py Visual Novel Engine, a free tool that lets you create your own visual novels. For more free visual novels, please visit the Ren'Ai Archives. This Software may only be distributed under the name "Moonlight Walks" if the visual and audio output it presents in response to user input is unchanged. If such output is changed, then the Software must be distributed under a different name. Ren'Py is distributed under its own license terms.